Today, ESPN and premiere boxing promotional company, Top Rank announced a seven-year agreement between the two companies. This new seven-year deal runs from 2018 to 2025 and includes 54 events per year, as well as a full offering of exclusive shoulder programming, classic fights and studio content. 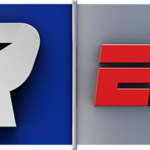 Top Rank on ESPN content will air on ESPN linear networks or be available to stream on ESPN+. This new agreement is the result of the huge success of the first year of Top Rank on ESPN. It will allow for a comprehensive alliance between Top Rank and ESPN’s leading networks and platforms to showcase even more Top Rank content, including live events, additional original programming and library content. 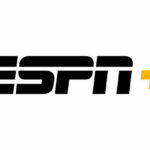 Boxing news, information, and opinion will also appear across ESPN platforms and new programs will be developed and announced at a later date. Manny Pacquiao vs. Jeff Horn (July 1, 2017) – The “Battle of Brisbane” had an average viewership of 3.1 million viewers and a peak of 4.4 million viewers, making it the highest-rated boxing telecast on cable since 2006 and ESPN’s highest-rated boxing telecast since 1995. Horn defeated Pacquiao by unanimous decision in a thrilling match. Vasiliy Lomachenko vs. Guillermo Rigondeaux (Dec. 9, 2017) – Second most-watched cable boxing telecast of 2017, averaging 1.85 million viewers. It was the first boxing match in history to feature two two-time Olympic gold medalists. 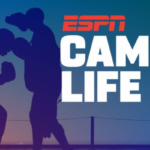 Terence Crawford vs. Jeff Horn (June 9, 2018) and Manny Pacquiao vs. Lucas Matthysse (July 14, 2018) – Pound-for-pound elite Crawford won the WBO welterweight title over Horn in an event that drove subscriptions and was streamed live and exclusively in the United States on ESPN+, ESPN’s new and innovative direct-to-consumer streaming service. The only eight-division champion in boxing history, Pacquiao headlined a second sensational fight on ESPN+, winning the WBA “regular” world welterweight title in a seventh-round TKO of Matthysse in Kuala Lumpur, Malaysia. Terence Crawford vs. Julius Indongo (Aug. 19, 2017) – Crawford unified all four 140-pound titles with a third-round TKO over Indongo, becoming the first undisputed champion in boxing (in any weight class) since 2005. Vasiliy Lomachenko vs. Jorge Linares (May 12, 2018) – Thus far, it is the most-watched cable boxing broadcast of 2018. Lomachenko dethroned Linares to win the WBA lightweight title, becoming the fastest fighter to win world titles in three weight classes. Lomachenko accomplished that feat in 12 fights, breaking the previous record held by Jeff Fenech, who did it in 20 professional fights. In the new deal, the 54 live events provide fans with a consistent boxing destination that showcases not only the finest of U.S. and international championship matchups, but also comprehensive coverage of up-and-coming prospects and contenders.